The Certificate programs have been developed in order to provide a more comprehensive training for artists interested in producing interactive media installations and performances. It requires students to take one-on-one tutorials according to an individually designed curriculum. The Digital Audio Certificate includes an introduction to the vocabulary of audio, basic audio hardware, an overview of how a recording studio functions, audio system troubleshooting, and MIDI. This hands-on course takes place in our audio recording studio, and explores the basics of sound editing using Digidesigns top-of-the-line ProTools system. 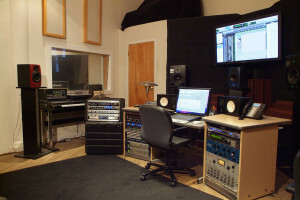 Applications covered include microphone and recording techniques, digitizing, non-linear editing, multi-track mixing, digital effects processing and outputting to various formats including surround sound. 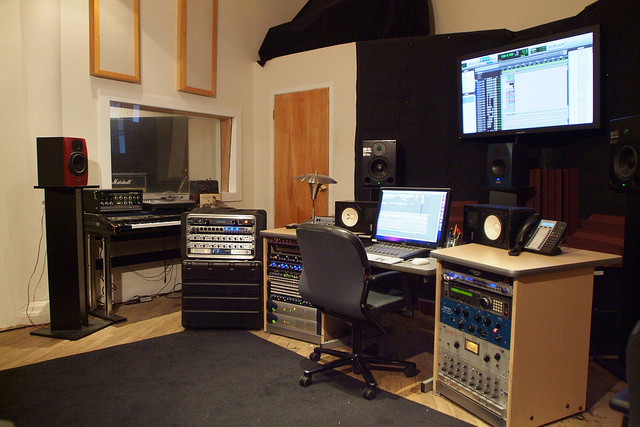 The Certificate can further specialize in audio post production for film and video (including voice over recording, foley, working with OMF files and Quicktime film references). Training Costs: $3500. The student has to be a member of Harvestworks to be able to participate in this program. Membership is $75/yr. Each certificate includes 30 hours of one-on-one training with our current teachers. The price also includes project supervision, support by our Assistant Teachers as well as a presentation of the final project at Harvestworks. A student may enroll in the program at anytime. “Thank you for offering such a challenging and beautiful program and all the work you do! Having been able to study this art, I can engage with the world in a new way” – Marini Pickering, Digital Audio Certificate Graduate. For details call Carol Parkinson 212-431-1130 or email carolp[at]harvestworks[dot]org.